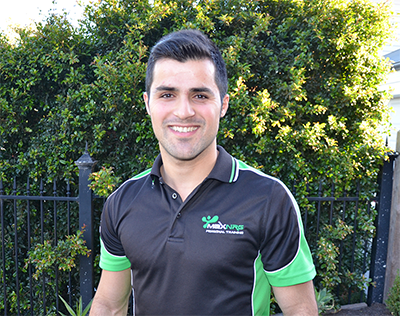 Denis Sadik is an experienced mobile personal trainer that services in Craigieburn, Roxburgh Park, Greenvale, Glenroy, Tullamarine and the surrounding suburbs. Homes, local parks, backyards, gyms. I’m happy to train my clients wherever they feel comfortable in their surroundings, but I definitely prefer to be outdoors at a park or oval. As a Personal Trainer participating in physical activity has been a major aspect in my life. Being an athlete myself I have gone through the high and lows of training and I know what it takes to stay motivated and work hard. My training is focused on inspiring and motivating clients to full-fill their goals and to help them live a healthier lifestyle. I am a passionate and energetic individual, who is driven to work harder with clients who give 110% in their training.